Posted on October 5, 2017	by H.P. Will ye come, will ye come, John Kane? Tor’s Conan pastiches is no way to step away from Robert E. Howard. I enjoyed them—the Robert Jordan and John Maddox Roberts pastiches, at least—but I need a bit more of the real thing before moving on. And with Halloween around the corner? Del Rey’s collection The Horror Stories of Robert E. Howard is the perfect hair of the dog. I don’t know that The Horror Stories of Robert E. Howard is the best introduction to Howard. Conan remains well known and relevant for a reason. And, of course, Solomon Kane has his partisans. 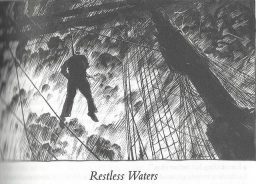 I really want to get to the Bran Mak Morn stories, and I have a collection of Howard’s Breckinridge Elkins stories. 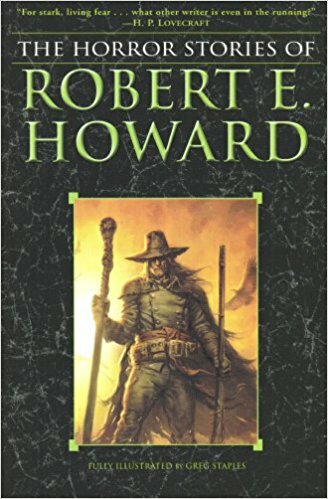 But The Horror of Robert E. Howard might be the best volume to pick up after your first introduction to Robert E. Howard. If you don’t start with Solomon Kane, here is an introduction to the Puritan crusader. Sailor Steve Costigan may very well appear. Howard’s occult detectives Conrad and Kirowan make multiple appearances. Howard was also a very fine poet, and a number of his poems are included. The stories tend toward the short (I only read a couple reaching 20 pages); this is an ideal book to pick up in the evening after each day of work as All Hallows’ Eve approaches, the bite of the coming winter begins to infiltrate the autumn air, and the onset of darkness encroaches a little further each night. I didn’t savor Howard’s Conan stories. I won’t make that mistake again. So I am reading slowly and splitting my thoughts into three posts from now through Halloween. I have included a list of the exact stories I’m covering at the end of my post. Howard isn’t just writing Lovecraftian fiction, mind you. There are werewolves and vampires and ghosts (oh my!). Howard puts his own spin on each. His take on werewolves and his take on vampires are worth lifting for contemporary works. They are certainly more interesting than much of the contemporary canon (especially for werewolves, who have been underserved). But there is also plenty of room to flesh them out further. The ghost stories are a good reminder that Howard was as inspired or more by Texas folklore as by Lovecraft. These stories, in particular, remind me of those that I grew up with. (And remind me that Weird Tales also published stuff like the Silver John stories.) The Dream Snake and The Shadow of the Beast would fit in some of the volumes off my shelves (and my parents’ shelves before that, and my grandparents’ shelves before that). The only anomaly being that one features a giant snake and one the ghost of an ape. Because this is Howard, after all. 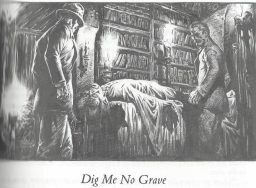 There are two Solomon Kane stories in the selection I read—Rattle of Bones and The Hills of the Dead. I am a big fan of both, so I see the collected Solomon Kane stories in my near future. The Hills of the Dead provides the image for the cover art. I mentioned that the Sailor Steve Costigan might appear. I haven’t actually seen these stories listed as Costigan stories, but two stories (The Little People and Casonetto’s Last Song) feature a character with the surname Costigan. They don’t read like the Costigan stories I’ve seen described, but in one Costigan thinks of himself as “an amateur boxer of ability” and in another smashes something with an iron fist. Some themes reoccur. One in particular that struck me was a deep sibling love for a sister (philia, nor eros, this isn’t GRRM we’re talking about here). Howard touches on it in The Little People and returns to it in Dermod’s Bane. Howard was an only child, and you get the sense he regretted not having a sibling. It doesn’t stop him from writing powerfully and poignantly on the subject. 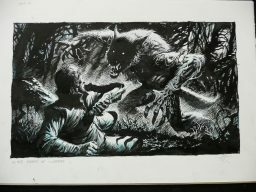 Like the other Del Rey collections, The Horror of Robert E. Howard is packed with original art. Throwback SF Thursday: The Horror Stories of Robert E. Howard was originally published at the Castalia House Blog. This is my favorite Howard collection. I love his Conan stories but the individual, unconnected horror stuff tops my list. I don’t have this book, but that might have to change. That list is a great collection of his horror stories.